By integrating science and engineering concepts with industry-specific technologies, civil engineering technicians and technologists assist in the monitoring and inspection of civil infrastructure projects. 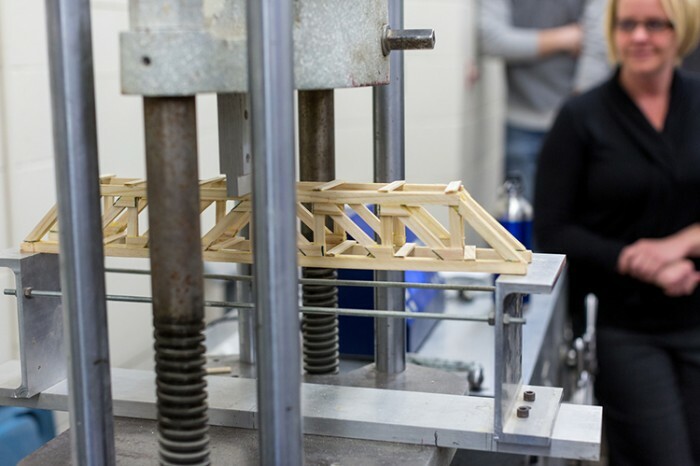 An education in civil engineering can offer many opportunities – leading to rewarding careers both in the office and out in the field, in areas such as structural design, municipal engineering, transportation construction and geotechnical engineering. "I can have the best of both worlds in this field – on site or in the office, working on structures or on roads, surveying, inspecting or designing. The opportunities are endless!" "My education paid off! I’m working as a Civil Technician at an engineering firm in Camillus, New York. I work with storm water and will also be responsible for septic designs and ESAs, as well as other general engineering duties. It really worked out well! It is exactly what I was hoping for in school." "The faculty is knowledgeable and supportive — they understand the different needs of students. I find this work very rewarding because you can see the results of what you do — new buildings, new roads. It is exciting to look ahead and imagine the opportunities my career holds for me." "During my second year, I travelled to the Democratic Republic of Congo to work on an engineering project for the Université de l’Alliance au Congo. I did surveying on the project. I was the only student, and having that experience will open up more doors, and more job opportunities." 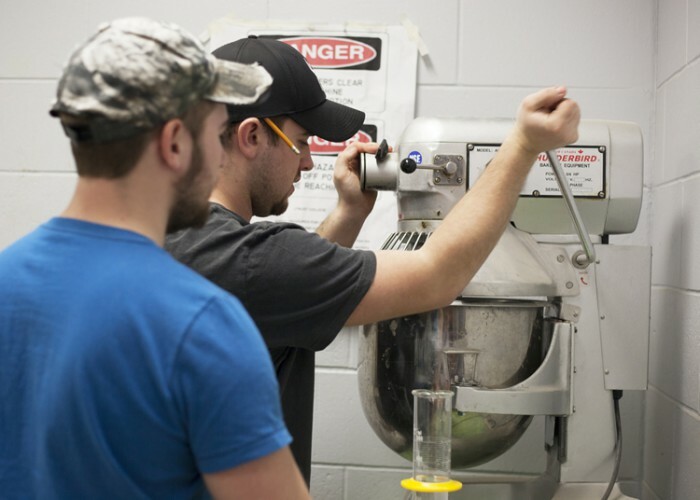 Graduates are eligible for certification with the Ontario Association of Certified Engineering Technicians and Technologists (OACETT). Like to know how things work. Want to make a lasting difference in the community. Are good at visualizing problems in order to tackle solutions. May prefer to work indoors or outdoors. 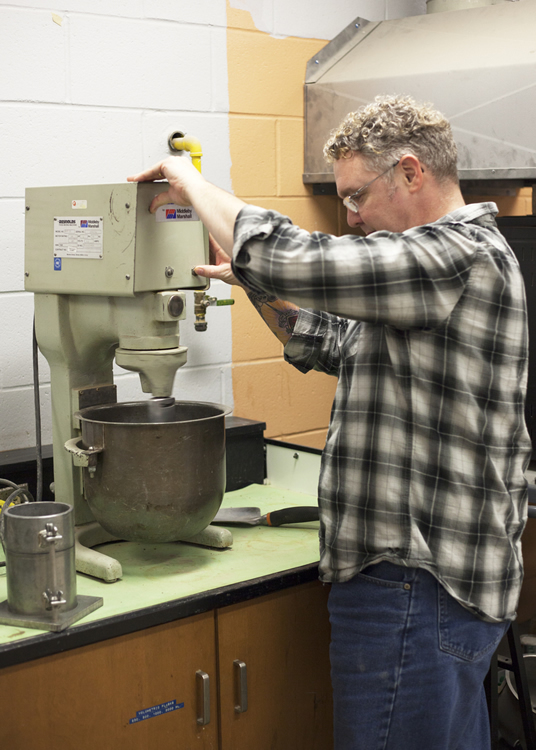 This well-rounded program combines classroom instruction, hands-on learning, both outside (in the field) and inside, in our Building Sciences Lab using industry standard equipment. Get a strong foundation in surveying techniques, drafting principles and computer applications, using programs such as AutoCAD and AutoCAD Civil 3D. Gain skills in structural, municipal and highway design, drafting, materials testing, surveying, inspection, construction supervision and project estimating, to name a few. 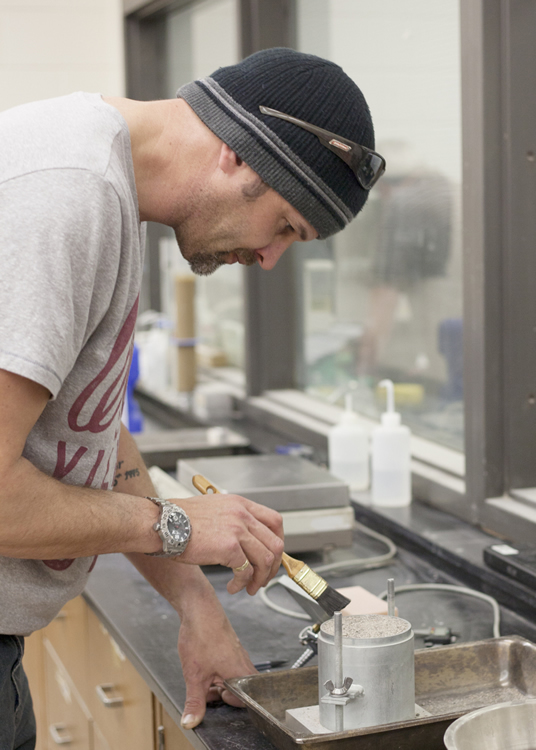 Year one is common with the Construction Engineering Technician program, allowing for ease of transfer. Receive lots of personal attention from professors with over 25 years of experience in municipal and transportation engineering. 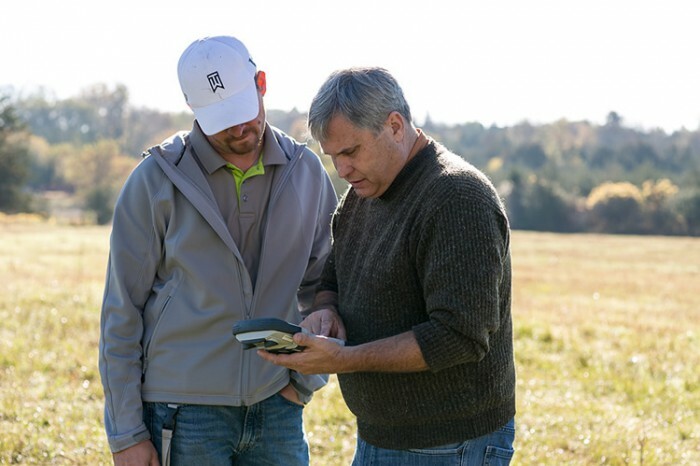 Learn from an industry leader in the development of Geographic Information Systems (GIS), working with global organizations using GIS technology to support sustainable development. This course deals with materials used in buildings, and the methods and equipment used in constructing with these materials. Materials include: concrete, masonry, wood and steel. Cad 1 is an introductory course in 2-D computer aided drafting, using the AutoCAD program. The initial focus of the course is to learn and implement basic commands to create, edit, store and retrieve data. This skill and knowledge is developed through basic, simple drawing assignments. Another component of the course is dedicated to developing print reading skills as related to construction documentation. Students are introduced to Microsoft Office software. The basics of Microsoft Word are learned and Microsoft Excel is used with engineering applications. 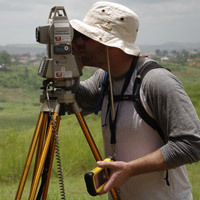 Geomatics 1 is the first of three courses in surveying offered in the Building Sciences Program and introduces the learner to the survey technologist's/technician's role in communicating land-related information between stakeholders in Architectural/Engineering/Construction (AEC) projects. This dialog is dependent upon the efficient and accurate measurement of angles, distances and differences in elevations and the careful recording of the data gathered. Learners will explore the theory of making measurements during classroom lectures and develop the practical skills of operating automatic levels, total stations, electronic data-collectors, and GPS receivers during weekly field exercises. Students learn to use the mathematical tools that are required in their engineering subjects. Building sciences applications of algebra, geometry and trigonometry are emphasized. CAD 2 is an extension of CAD1. The objective of this course is to further enhance student's knowledge of the AutoCAD software. Having developed an understanding of basic functions such as geometry creation, editing, dimensioning and annotation, students learn more advanced features of the software to facilitate drawing creation and organization, primarily in a 2-D setting. This will be accomplished by the use of more involved, complex and discipline related projects. A component of the course will also include print reading fundamentals with construction drawings. This course deals with materials used in civil engineering works, and the methods and equipment used in construction with these materials. Materials include: soils, concrete, steel, heavy timber, and asphalt. 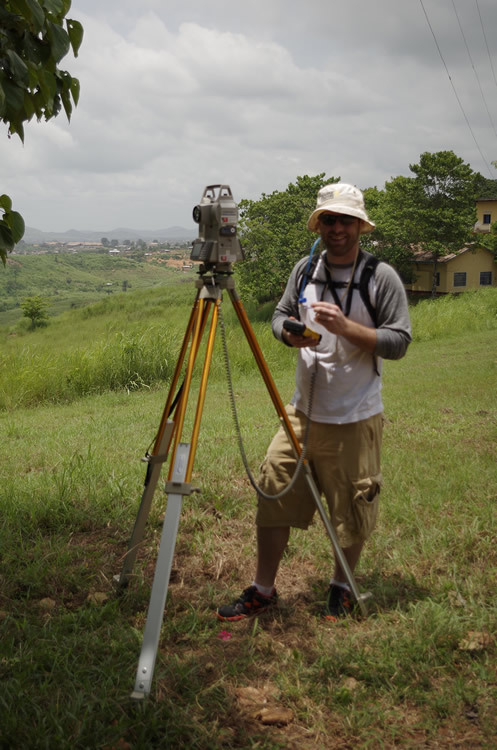 This course focuses on levels, stadia, topographic and construction survey methods. The development of profiles, cross-sectioning for contour, the placing of grade stakes and batter boards, and circular curves are studied. Drafting and calculations associated with these surveys are performed. This course is a continuation of Mathematics 1. This course deals with the effects of external forces on rigid bodies at rest. The first half of the course concentrates on forces and equilibrium. The second half deals with applications of basic principles to specific structural shapes (trusses, beams). Students develop communication skills for the presentation of technical information in business documents that meet the needs of clients and customers. Documents and presentations are produced in Word and PowerPoint. This course is about engineering and construction surveying. 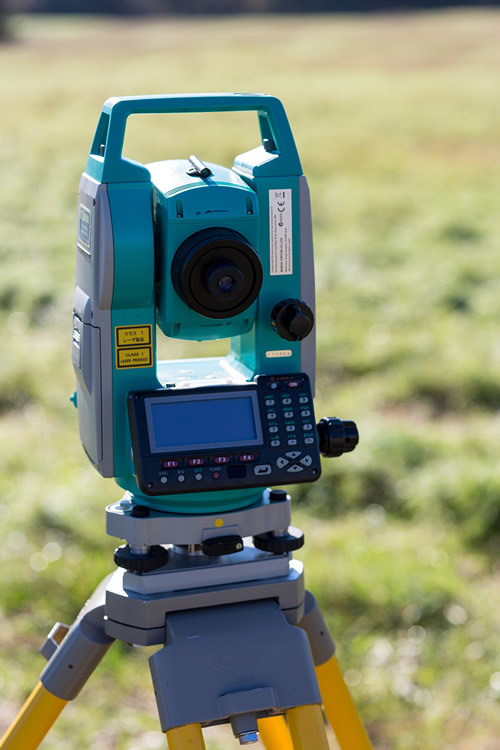 It introduces the student to the major steps of surveying within an engineering project - setting up project control, completing topographic surveys including breaklines for terrain modeling, producing, transferring and extracting information with digital media, staking out alignment and grades for construction work. 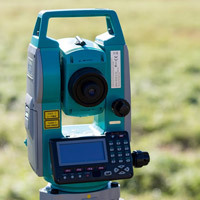 Advanced geomatics concepts such as ellipsoid, geoid, datum, projections, grids, and survey adjustments are introduced. 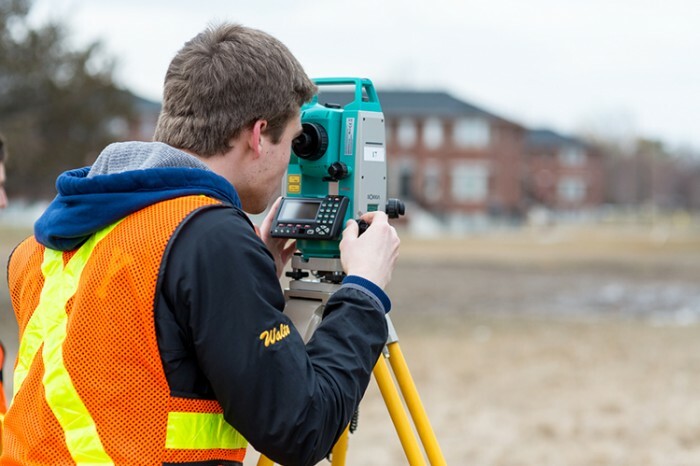 Students become proficient at using total station equipment for pickup and layout and develop confidence in the accuracy and precision of various measuring methods. AutoCAD Civil 3D is used to develop terrain and simple road corridor design used in the stakeout. This course introduces students to principles involved in the design, construction, and operations of roads and highways in Ontario, building on the basic knowledge gained in Geomatics, Computer Applications, and AutoCAD courses. Topics include road classification, level of service, interpreting topography, drainage requirements, and advanced highway geometry. AutoCAD Civil 3D is introduced to support highway design using Civil 3D Surface, Alignment, Profile, Assembly, and Corridor objects. 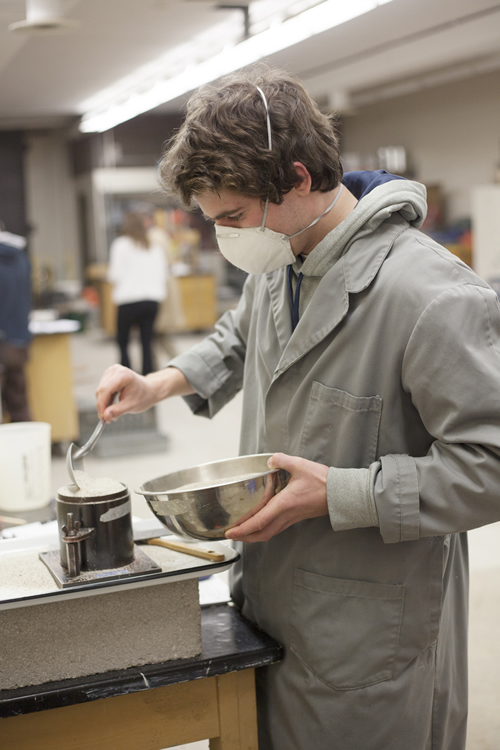 Students obtain hands-on experience in a materials testing laboratory setting, and become familiar with the mechanical properties of construction materials using CSA/ASTM standard test methods. New course - description to follow. This courses focuses on concepts of stress, strain, tension, compression, shear, bending and mechanical properties of materials as they relate to the building industry are discussed. Students learn the general requirements for structural steel design drawings and shop detail drawings. Drawing projects will include beam shop details and bracing details. Students study the various forms of contracts used in the construction industry. The style, purpose and method of writing specifications are studied. Using the contract, specifications and drawings, students prepare estimates of quantities of materials and construction costs for residential and industrial buildings. This course is a continuation of Materials Testing 1. Using Autodesk Civil 3D this course teaches the principals and processes for the creation of municipal road, drainage, and services. Students will select a parcel of land and, through the course materials – lectures, demonstrations, text, standards, examples, tutorials, and assignments – produce an urban municipal subdivision design. The behaviour of soil and produced aggregates used in construction processes are studied through a combination of practical and theoretical methods. The material properties necessary to anticipate this behaviour are determined through application of standardized laboratory test procedures. Strength of Materials 2 is a continuation of Strength of Materials 1. Students solve problems related to elementary strength of materials topics. This course is a further study of the effects of loads on building components. The deflection of beams and behaviour of columns are also studied. Students study the primary types of structures and their component elements, dead and live loads, which can be applied to a structure. Using limit state design concepts, loads acting on members are determined, and structural elements sized. This course covers the fundamentals of differential and integral calculus. Calculus plays an important role in the understanding of science, engineering, economics, and business. This introductory calculus course covers differentiation and integration of one variable, with applications. 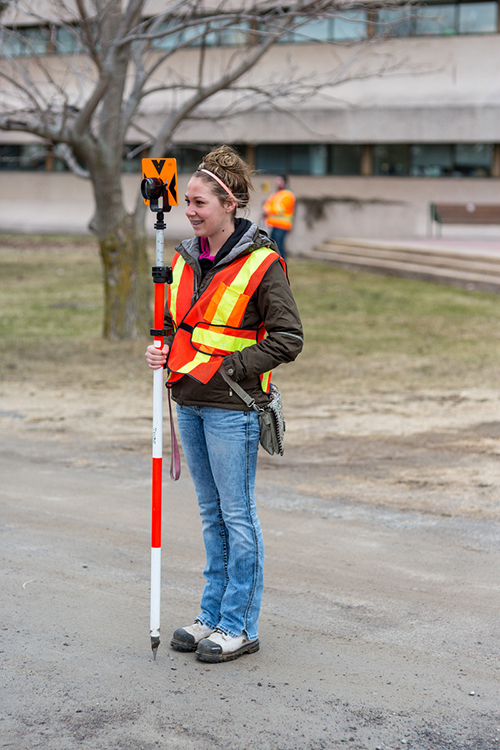 Students study the role of the construction superintendent with special emphasis on leadership, labour relations, construction management and safety at the site level. Soil mechanics are used to make the selection and design of typical foundations. The applicable codes and standards, types and properties of structural steel and Limit States Design principles are introduced. Simple structural tension, compression and bending members are designed and detailed. This course undertakes the study of determinate and indeterminate structures subjected to various structural loadings such as gravity, wind, seismic and temperature loads. This course is a continuation of Construction Supervision 1. In this course the design of structural members made of steel-reinforced concrete is begun. Structural members are designed to satisfy the requirements of the CAN 3-A23.3-M84. Simple beams are used experimentally to show how reinforced concrete resists bending and shear. Students study the design of steel beams, columns and connections in accordance with the requirements of the CAN-S16.1-M89. Complex connections, build-up members, plate girders, and multi-storey frames are also examined. This course introduces students to the methods and procedures used in writing a detailed technical report. This affords the student the opportunity to defend their technical report in an oral presentation. 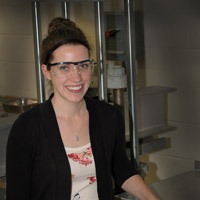 University of Windsor – B.Eng. Tech. Belleville, Ontario, July 11, 2013 - Loyalist College is pleased to announce Ann Drennan as the new Dean of the School of Applied Sciences, Skills and Technology effective August 26, 2013.